The year was 1946. Chicago had been talking about building expressways for decades. Now that World War II was over, the vision could become a reality. In 1946 there was no federal interstate highway program. The city, county and state were funding the $177 million Northwest (Kennedy) Expressway. As the original name suggests, the new road was going to run northwest from downtown, mostly alongside the Chicago & North Western Railroad. 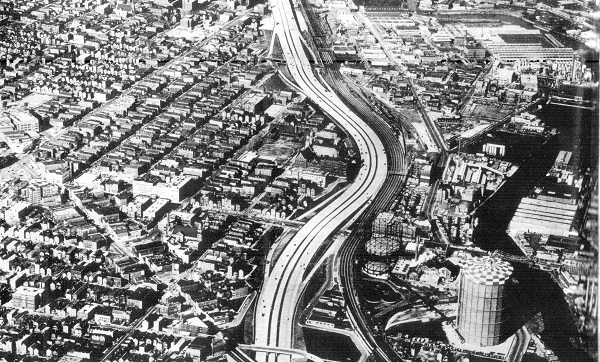 Just north of Division Street, the expressway was routed through a heavily-populated Polish area. Hundreds of homes would have to be torn down. And though the road was to be depressed, the historic St. Stanislaus Kostka Church would be cut off from much of the neighborhood. The Poles were Chicago’s largest ethnic group. No politician wanted to alienate that many voters. Therefore, on December 13, Governor Dwight Green announced a revised route. 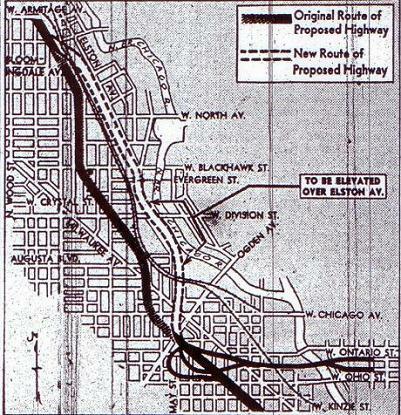 The section of the expressway near the church would be moved east of the C&NW tracks and run on a viaduct over Elston Avenue. “We feel that the protection of community interests justifies the increased expense,” the governor said. That appeared to end the controversy. Years passed. By 1955 work was ready to begin. The state now decided the Elston viaduct was too expensive. The expressway would follow the cheapest route, along the C&NW line. And under this plan, St. Stan’s itself would have to be bulldozed. That spring, a civil engineer named Bernard Prusinski ran for 32nd Ward alderman on a “Save St. Stan’s” platform. He upset longtime incumbent Joe Rostenkowski to win the election. Once in office, Prusinski went to work getting the expressway moved — again. The Prusinski plan was to curve the C&NW tracks a few hundred yards east, onto land that was mostly vacant. Then the expressway would follow this route. The additional cost would be minor, and the Mother Church of Chicago Poles would be preserved. The state agreed to the change. So today, when you travel the Kennedy, you can see where the road curves around the church, just as Prusinski proposed. But there’s a final bit of irony here. 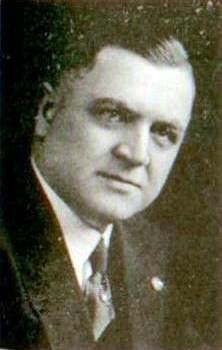 In 1958 Joe Rostenkowski’s son Dan was elected to Congress. Dan Rostenkowski stayed at that job for 36 years and became a power on Capitol Hill. All that time he kept a residence a block from St. Stan’s. Somewhere along the line, the legend developed that the congressman had been the person who’d saved St. Stan&apos;s. And now that stretch of expressway near the church — which helped drive Dan Rostenkowski&apos;s father from office — is nicknamed Rosty’s Curve.